Disney’s 35th original animated feature is not one of the most memorable in the company’s canon. Regardless, it is an enjoyable—and strikingly weird—addition to the Disney universe, one that can now be enjoyed in full High Definition glory. Otherwise, the musical spectacle is about the same as it ever was. Back when Disney wasn’t searching so hard for high-end celebrity voice talent, a hero was born in 24: Live Another Day actor Tate Donavon, who plays the titular character in Disney’s Greek saga. Early in the film, a baby Hercules is kidnapped and sent to Earth, where he is raised by humans, maintaining his superhuman strength. However, while Hercules is coming of age, Hades (James Woods) is interested in ensuring he doesn’t live a day longer. 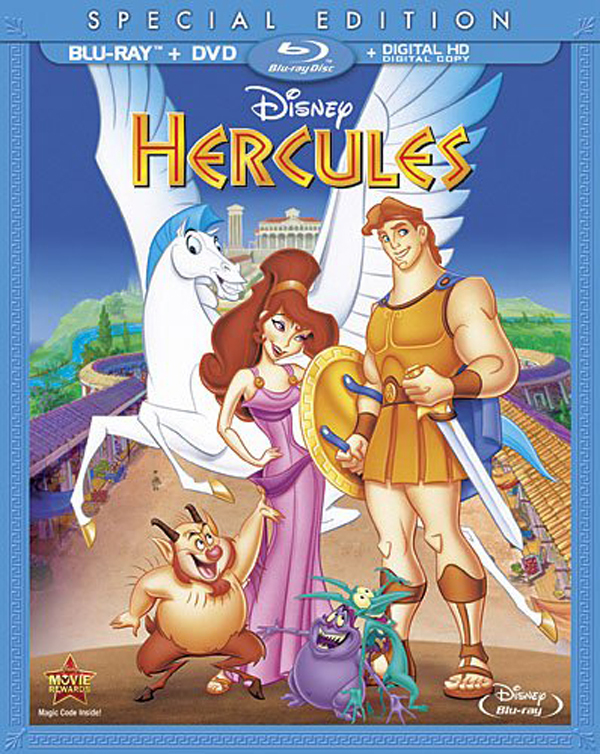 With some comic relief from trainer Philoctetes (Danny DeVito), love interest Meg (Susan Egan) and goofy minions Pain and Panic (Bobcat Goldthwait and Matt Frewer), Hercules offers enough laughs for the whole family. What’s possibly most enjoyable about Hercules is its very adult women. The muses are sassy, and Meg is unlike most of the other princess archetypes in the Disney canon. She’s not wide-eyed or filled with wonder, and is instead a real, complicated love interest. She’s a great foil to Hercules, who himself at first mimics what we’ve come to expect from a strong dude, before reaching instead himself and becoming something mentally stronger. But you know all this. Let’s talk about what Hercules offers on Blu-ray. It looks like Disney is over giving its brand new sets the "Diamond Edition" treatment. Instead, the Blu-ray release is called a "Special Edition," although really, the biggest thing that is special with the set is that it is available on Blu-ray for the first time. More on the other benefits and extras, below. Best Special Feature: Probably wisely, Disney has cut back on the number of extras available with their non-historic features. This time around, the recent sing-a-long addition to the extras is available, but the best bonus feature is probably "The Making of Hercules," which was also available with the DVD set back in 2000. The behind-the-scenes look focuses on the voice actors and the music Alan Menken and a slew of excellent R&B singers created for Hercules. The Blacklist has been a bright spot in the schedule for NBC during the the tenure of its run, earning enviable ratings for a network that's not necessarily great at that activity. Just as importantly, it's also been churning out really good material and finding that delicate balance between being a serialized show that moves forward but also providing a stand-alone mystery that may win over new viewers. There’s an advertising insert promoting the second season of The Blacklist, featuring the memorable Season 1 line from Reddington, who once told Lizzie, "That was fun. Let’s do it again." The phrase works with the Season 1 set, as well. Even if you watched the episodes when they initially aired on primetime, the story is so convoluted that I definitely benefitted from a second watch. Even though I’d seen the original airings of the episodes, Spader’s performance, particularly, was more nuanced upon second viewing. The Blacklist Season 2 is set to hit the schedule next month, and now’s a great time to plow through all of the Season 1 episodes and get caught up. 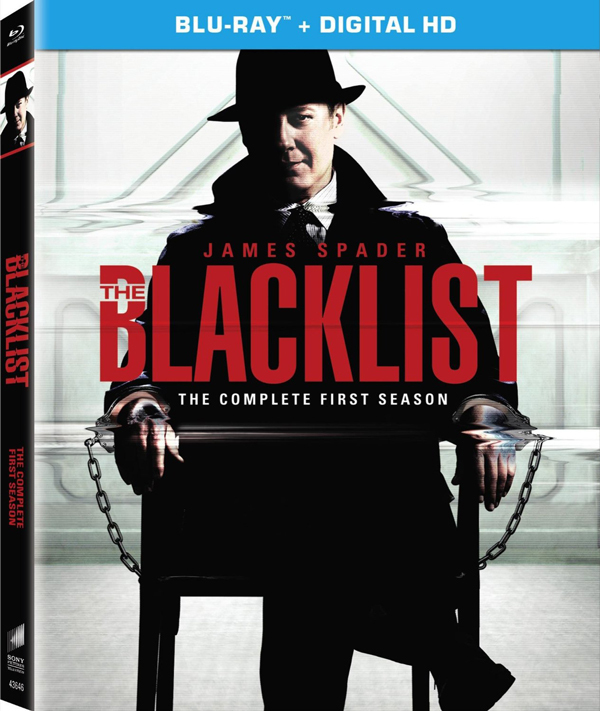 Unfortunately, The Blacklist isn’t really a show that needs to be watched on Blu-ray. The picture is fine in HD, but The Blacklist is often such a dark show that the HD picture isn’t necessary. You’d be just as fine watching a DVD copy, or streaming the series. Best Special Feature: The extras are sporadically placed across the sets five discs, which are, by the way, stacked together in the package so that each disc shares a space with the other discs. If you watch each episode individually, you can click on a separate feature called "Beyond The Blacklist." Like HBO’s "Inside the Episode" feature, each of these segments offers a short look at the episode from the perspectives of the cast and crew. It’s less time consuming than plunking down for the entire audio commentary, but there’s still several interesting facts to be learned in each. Executive Producer commentary on "Anslo Garrick Part 1"
Executive Producer commentary on "Berlin: Conclusion"
"The Insider: Behind the Scenes of Season 1"
Hercules isn’t the only Disney flick making its Blu-ray debut today. Also included is the new documentary Disneynature: Bears, as well as a slew of new and old classics. Interested in seeing a dude swing through the forest in a loincloth? 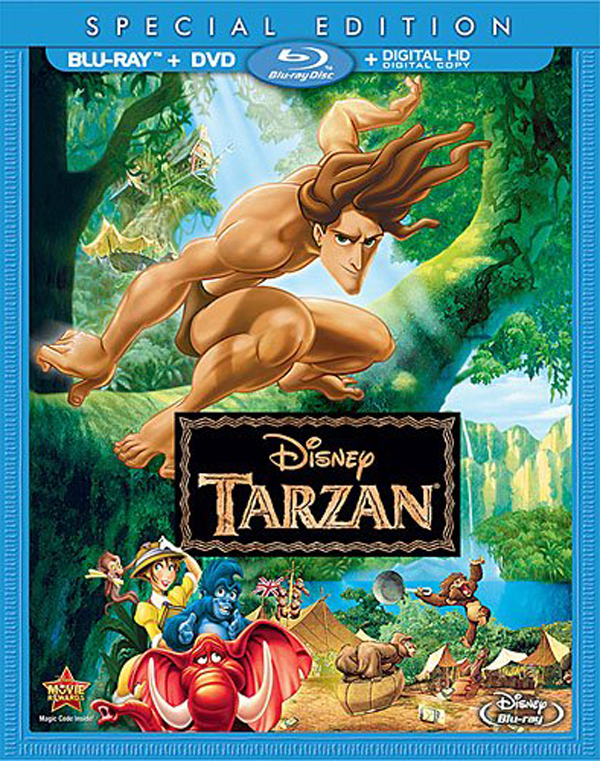 Check, Tarzan is headed to Blu-ray today. Interested in seeing some older fodder? Check, Bedknobs and Broomsticks, The Adventures of Ichobod and Mr. Toad, and Fun and Fancy Free are all hitting Blu-ray. Add in a few indie movies, and there’s plenty to choose from this week. You can check out an extended list, below. Unless otherwise noted, sets are available on both Blu-ray and DVD.